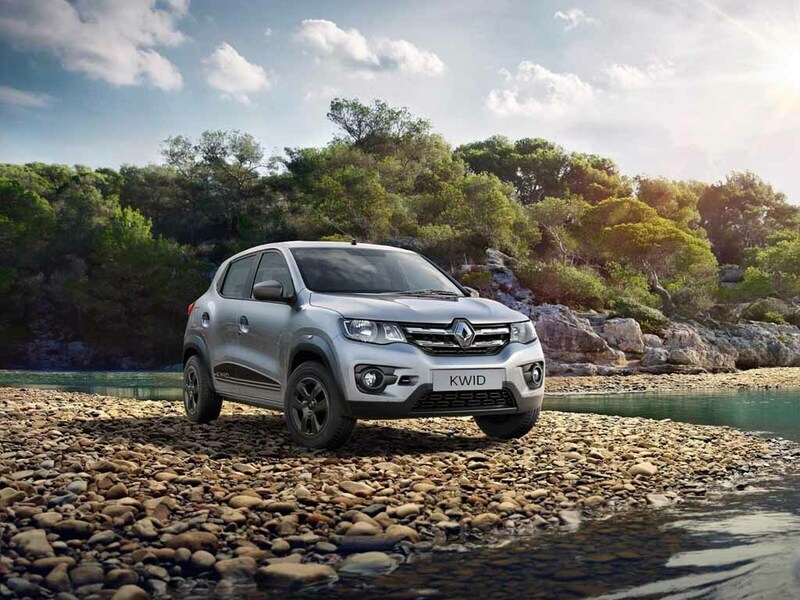 Renault has launched the new updated 2019 Kwid priced at Rs. 2.67 lakh (ex-showroom). The new version gets added features but there are no visual or mechanical changes to the vehicle. Renault has started offering ABS as standard across all the variants and has also added other features to the hatchback. The top-end of the Renault Kwid is priced at Rs. 4.63 lakh, ex-showroom, Delhi. The 2019 Renault Kwid also gets standard driver-side airbag, speed sensing automatic door lock, ELR seat belts in the rear seats, parking sensors in the rear and speed-sensing door lock. Renault has also updated the touchscreen infotainment system in the top-end variants of the Kwid. The touchscreen infotainment system now gets Apple CarPlay and Android Auto connectivity, making the Kwid one of the most affordable to offer the new-age connectivity. Only the top-end RXT (O) and the Climber versions get the infotainment system. 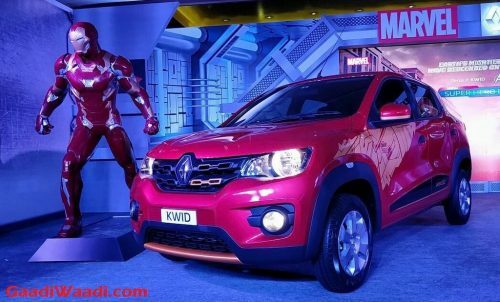 Renault also offers AMT version of the Kwid in the Indian market. All the automatic versions now get updated with the crawl mode, which is named as ‘Traffic Assist’ by Renault. The update on the Renault Kwid are in accordance with the upcoming safety rule, which will be in effect from 1st April 2019. The updates also make the new Renault Kwid meet the upcoming Bharat New Vehicle Safety Assessment Program (BNVSAP) norms that will come into effect from October 2019. It is not known if Renault has made any structural changes to the vehicle. Mechanically, the Renault Kwid remains unchanged. It carries forward the same engine options. There is an 800 cc, 3-cylinder petrol engine that generates a maximum power of 54 PS and a peak torque of 72 Nm. There is also a more powerful 1.0-litre, three-cylinder engine that generates a maximum power of 68 PS and 91 Nm. Both the engine options get a 5-speed manual transmission as standard. Renault offers the 5-speed automatic AMT with the 1.0-litre engine option only.